The president attends a golf event in Jersey City on Sunday as the crisis in Puerto Rico continues. 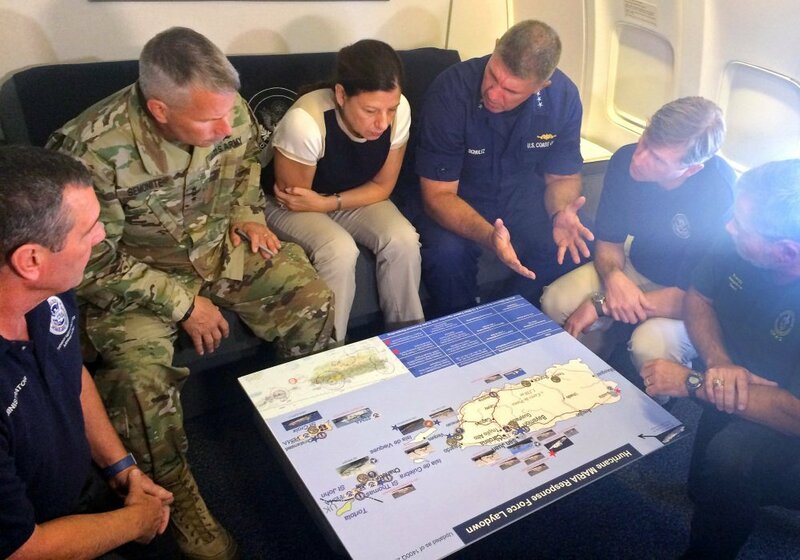 Trump’s latest tweets sought to defend Washington’s attentiveness to recovery efforts on a U.S. territory in dire straits almost two weeks after Hurricane Maria struck. The president spent Saturday ensconced in his New Jersey golf club and Sunday attended an international golf competition near New York City. “I know the good heart of the American people and I know that when a mayday sound goes off, they come to the rescue,” she said in a television interview. 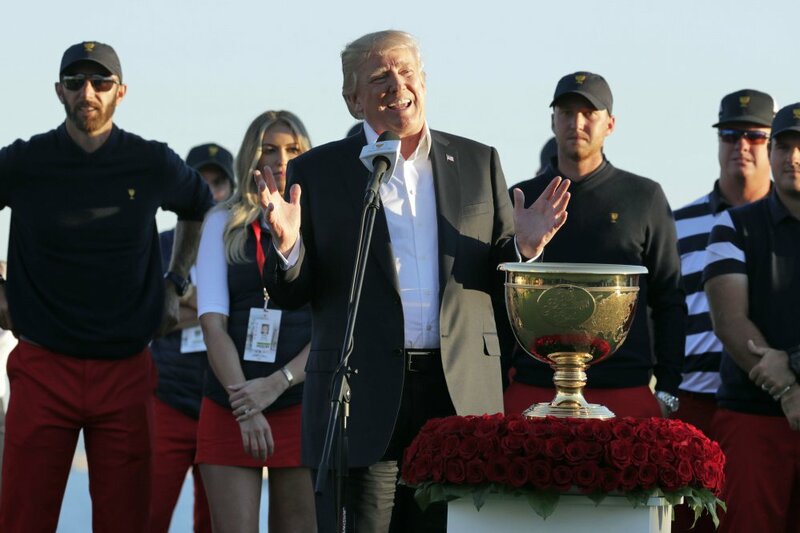 Trump appeared unconcerned with the optics of spending his Sunday afternoon watching The Presidents Cup at the Liberty National Golf Club as the crisis continued. Trump was a guest in the commissioner’s hospitality suite perched above the course’s 14th hole. When Trump presented the trophy to Team U.S.A., he dedicated it to the people of Puerto Rico, Texas and Florida still recovering from hurricane devastation. “On behalf of all of the people of Texas and all of the people of – if you look today and see what’s happening, how horrible it is. But we have it under really great control,” Trump said. As Trump spoke, someone in the crowd accused him of not caring about Puerto Rico, using a vulgarism to make the point.